Okay, I’ll be honest. Pinterest isn’t my favorite thing in the world. A tad too much wedding planning and food that looks like non-food objects for my taste. But I’ve recently found it incredibly helpful in a way I never expected it–for working with copywriting clients. As a copywriter specializing in fashion and design copywriting, I work with a lot of designers and artists who are just getting started and launching their own lines, and need a copywriter to help get their website off the ground. These projects are often ones that people have dreamed their entire lives of launching. They’re their babies. And as such, they’re often very difficult to talk about clearly and directly. I don’t blame the client here. When I try to talk about my fiction writing (my baby), I’m at a loss for words, as well. It’s hard to sum up what your brand means over the phone or by email. Especially when it comes to brand tone and voice. That’s where Pinterest comes in. My clients often have boards that they’ve created that sum up exactly what they’re going for in terms of tone. And often, I can get a better sense of what they want in one look than in a ten-minute convo of them trying to explain. Sometimes colors, designs, and inspirational photography simply says a lot more than words can at such a nascent stage of branding. 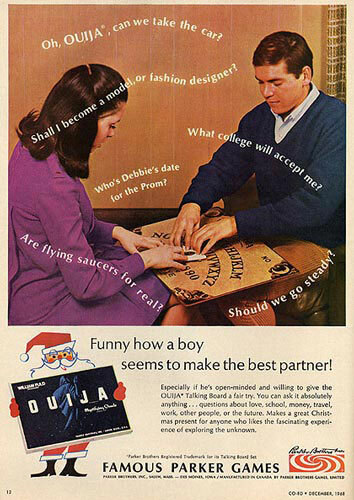 Of course, mood boards are nothing new in the advertising and copywriting fields. But it’s fairly recent that mood boards are so easy to make and share. Often, clients haven’t written a single word about their brand but they have several Pinterest boards dedicated to it. It’s funny, because I’ve seen other creative professionals (mostly photographers) lament Pinterest, because it can hamper creativity if clients get too specific about the images they want. But when it comes to copy, I welcome it. It helps me understand exactly what a client wants and cut down on potential revisions. 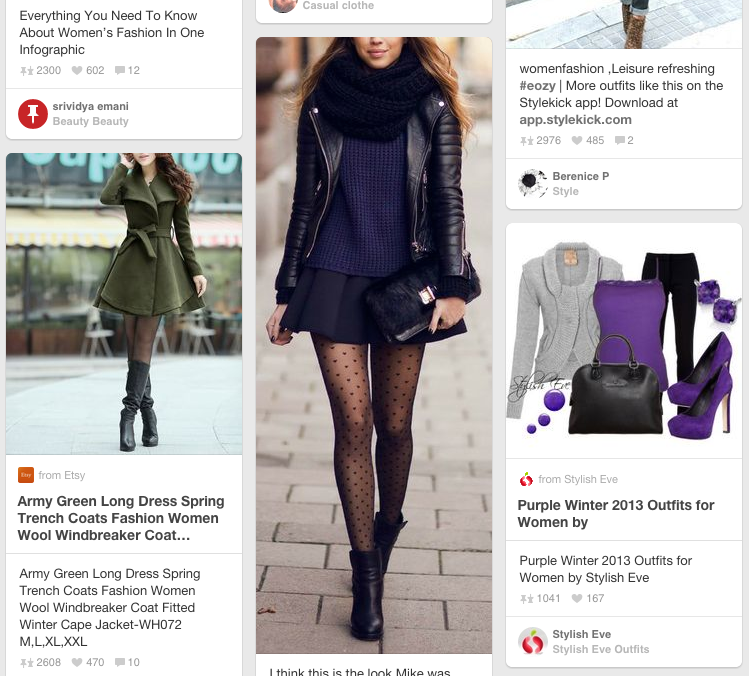 Fellow copywriters–do you use your clients Pinterest boards to get ideas? If you’re looking to hire a copywriter for your brand or service, please contact me here. Note that I didn’t say “How to break into copywriting.” There are tons out of articles about that out there, and some of them may have good advice. But I often asked how I, personally, landed in the field, and so I thought I’d share my little story. First off. I did not go to ad school. Or art school. Or any kind of creative school. (And honestly, most of the copywriters I work with didn’t either, so we should really all disabuse ourselves of the idea that that’s the only way in.) I was a lit nerd in high school and had vague dreams of writing a novel one day but wanted to study something practical that would also allow me to write. I chose journalism, and it was one of the greatest decisions I ever made, but I didn’t learn anything about advertising. I was actually one of those people who said–“I’ll do anything but sell something.” All that came later. My first magazine folded. My next gig, and my longest, ended when the entire company was acquired in a buyout. After four or so years, I was a little burnt out with magazines. 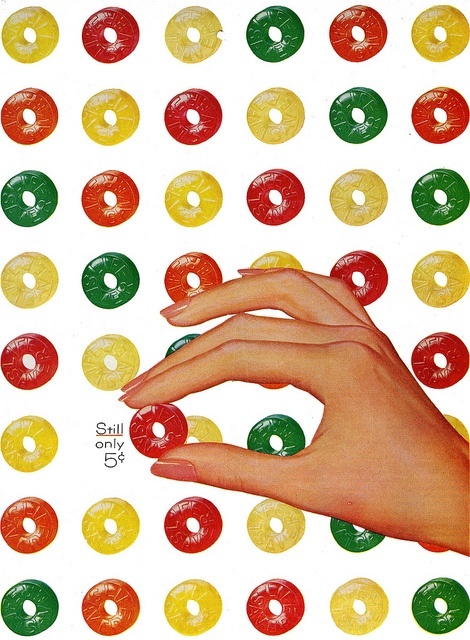 I still had vague “I don’t want to sell!” notions (I was a journalist, after all), but I was also very impressed by the kind of creative copy I was frequently seeing in brands I respected. I decided to give copywriting a try. I’d been working in mainly design magazines, and I had become extremely adept at writing about products. On a whim, I applied (without any connections) to a product copywriting gig at a major retailer, and even though I was offered the position, I decided that I didn’t want to spend all day every day writing SKUs–at least not in such a corporate environment. The Copy Manager completely understood and offered to have me come in a couple days a week to support her staff with overflow. That’s how I landed my first freelance gig. I learned a lot at that first position writing marketing copy. Prior to that, my experience had been writing design articles for magazines and online product descriptions for the aforementioned retailer. Now I was writing marketing emails, subject lines, editorial slideshows, in-store signs, Facebook posts, catalogue inserts, landing pages, app copy, and a whole lot more. There was a lot I didn’t know, but then again, there was a lot I did. My journalism know-how made me the go-to proofer and editor in the office, while my magazine background fueled my creativity, especially when it came to headlines and more conceptual projects. The marketing speak, the jargon and terminology, the kinds of terms I imagine you learn in a Copywriting 101 course, was all picked up on the job. “Fake it ’til you make it” is actually pretty great advice. The point is, in a creative field like this one, people are seeking a wide range of skills. They’re looking for what the next candidate can bring to the table. They’re looking for a fresh perspective. Ask 100 copywriters how they got into the business, and you’ll get 100 different answers. So if it’s something you want, go for it. Bring your most creative work to your interviews, get a few clips under your belt, and don’t worry if your background doesn’t align exactly with what they’re requesting. Believe me, you’ll pick it all up on your first gig. 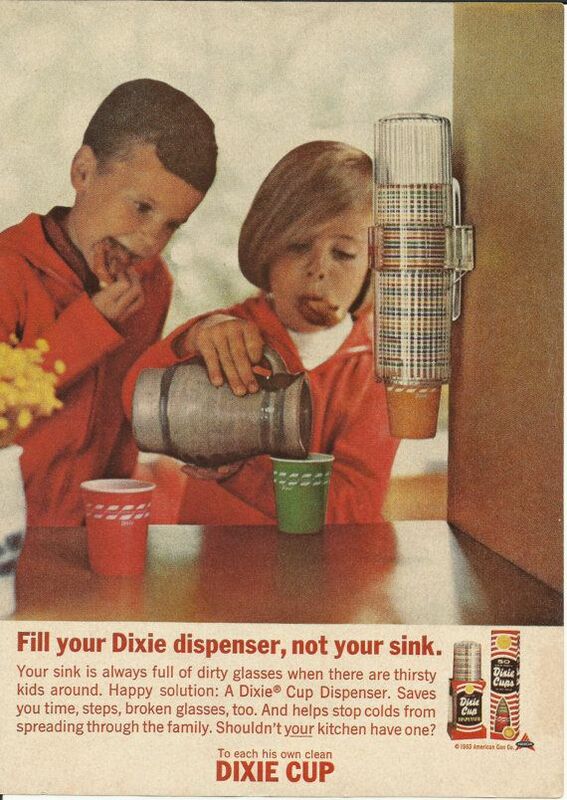 As much fun as it is to scoff at vintage ads that are woefully offensive and out of touch, as a copywriter, I’m more intrigued by vintage ads that are still relevant, at least in terms of craft and technique. 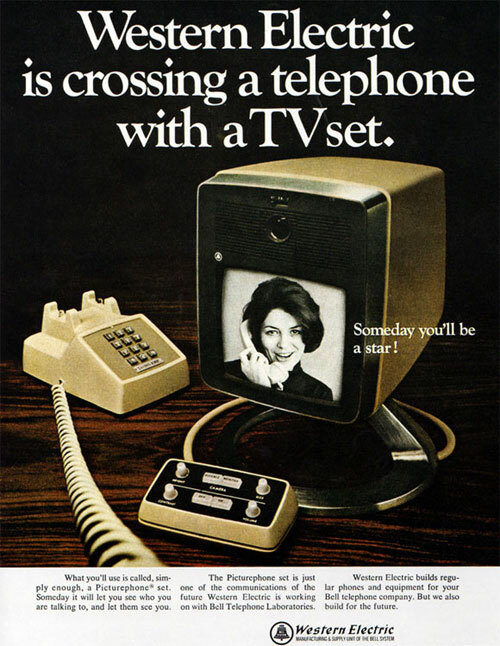 Here are a few inspiring vintage ads that make use of copywriting techniques that can still work to engage and convert in today’s marketing world. 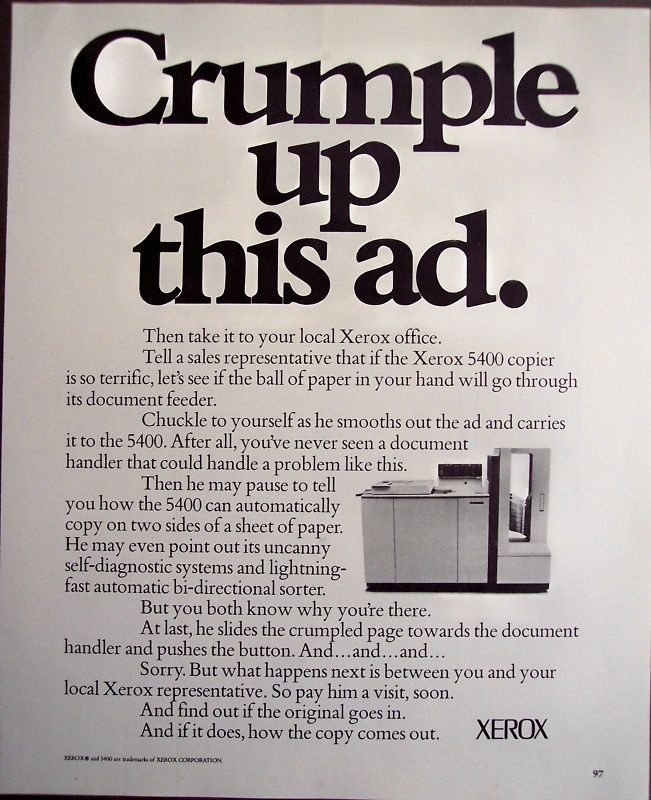 In the midst of formulaic headlines and regurgitated puns, it’s nice to take a step back and look at copywriting styles that have been relied on for decades. So next time you’re getting ready to right “Fit to Print” for the umpteenth time, you might try switching it up with one of these techniques. With this standout headline (and striking visual), parents and consumers are instantly reminded of all the toys, games and TV shows that do. A similar technique could be applied today by tapping into consumer’s exhaustion with constantly changing technology and endless gadgets. One look at this headline and you’re back in the kitchen with your mom. 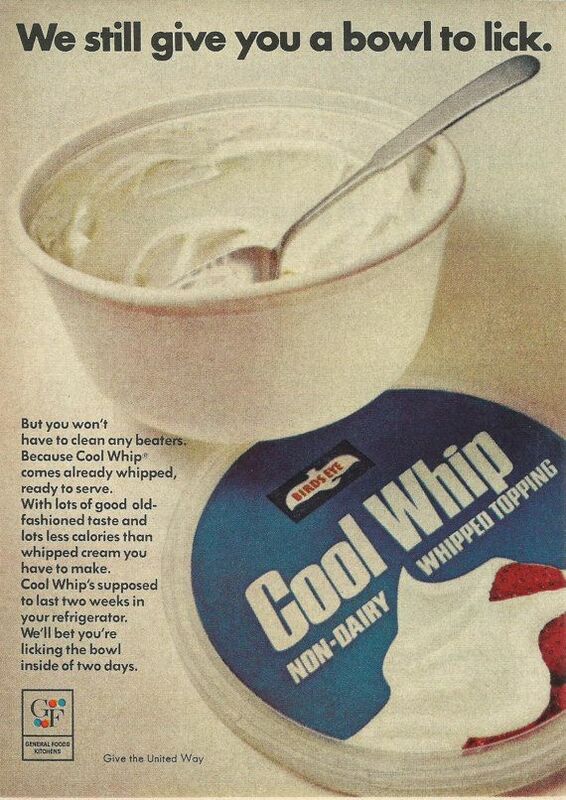 Cool Whip offers a modern solution without sacrificing a favorite childhood experience. With a fabulous design and three simple words referencing an unbeatable price, you don’t need any other copy to get across the message. 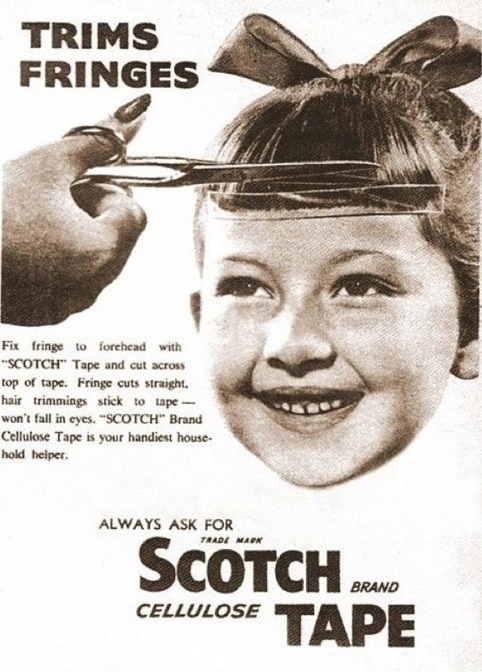 With something as ubiquitous as Scotch tape, it must be difficult to constantly find a new way to position a product. This inventive use provides a service for the customer without being overly sales-y and is especially relevant in today’s Pinterest-dominated world. It’s virtually impossible to see this headline and not continue reading to discover what in the world they’re going to say next. This copy-heavy piece is both disruptive and engaging, encouraging the customer to interact with the ad in a way that seems pretty wild. In a marketing world where companies are attempting to sell by admitting the awfulness of their products, it’s refreshing to see an ad that simply stands behind the product. Just a few lines give you a window into the minds of this young couple. A wonderful example of storytelling without being wordy. No puns. No alliteration. No wild claims of changing the world. 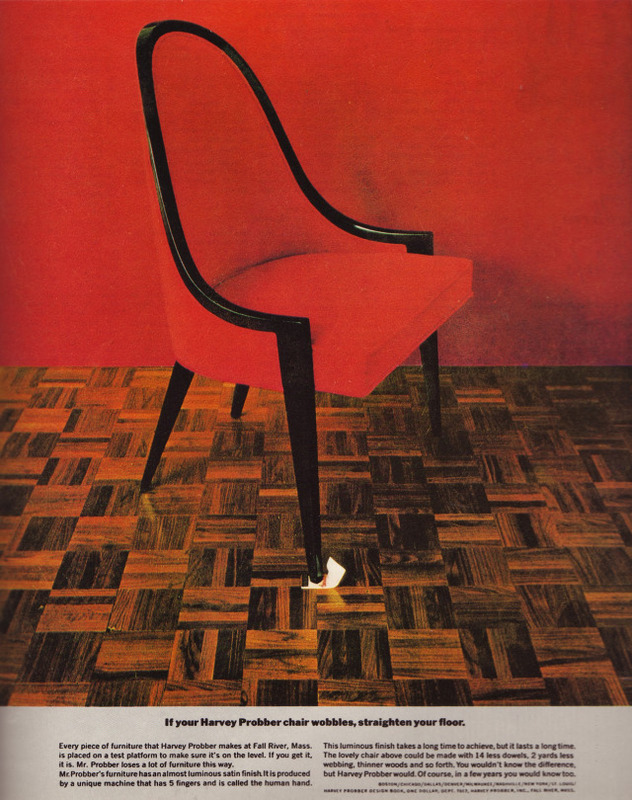 I love this ad, because I’ve often been asked by clients to call a product “revolutionary” when it simply isn’t. I’ve explained that it sounds hyperbolic, but it’s been a battle many times. When a product really is revolutionary, like this one, all you have to do is say what it does. 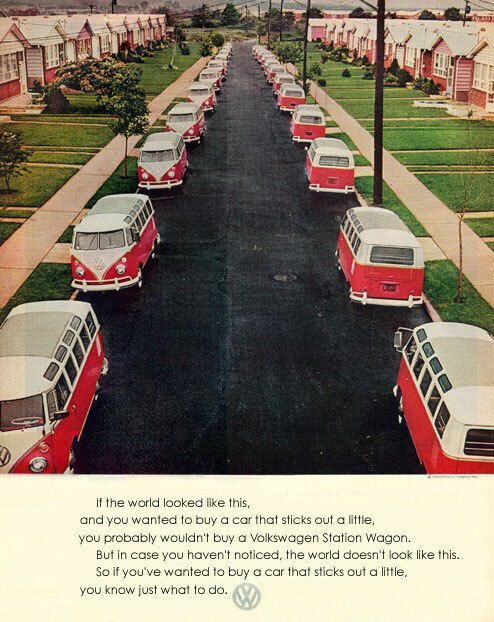 I could do an entire post on Volkswagen ads alone. This one stands out for me because it taps into aspiration but in the sense of showing you’re part of an elite class or that you have loads of money. Instead, it taps into the desire to be, feel and appear different and unique, which is of particular importance to many consumers today. Contrary to what you may hear on Mad Men and ad blogs, copywriters don’t sit around complaining about clients all day. In fact, we love new projects and clients–it means more doing what we love. That said, we’ve all hit bumps in the client-writer relationship. Here are a few tips I’ve gleaned through years of working with various brands and clients. 1. Make sure it’s a copywriter you actually need. I can’t tell you the number of times I’ve been asked to do PR distribution, magazine editor pitching, etc. Though I love working with clients to draft press releases, as a copywriter, my work ends when the release is in the client’s hands, while the nitty-gritty of distribution is more suited to someone with an extensive PR background. Make sure you know exactly what type of professional you’re looking for before you start screening. 2. Let the copywriter know exactly what you want, and don’t be afraid to be upfront and detailed. A creative brief is always appreciated, whether it’s a formal document or simply an email with bullets. If you think you need a 300-word landing page to accurately describe your product, then make that clear. But if you want hte visuals to do most of the talking, make that clear as well. You’ll save the copywriter unnecessary work (and billable hours). 3. Send your copywriter examples of what you love. 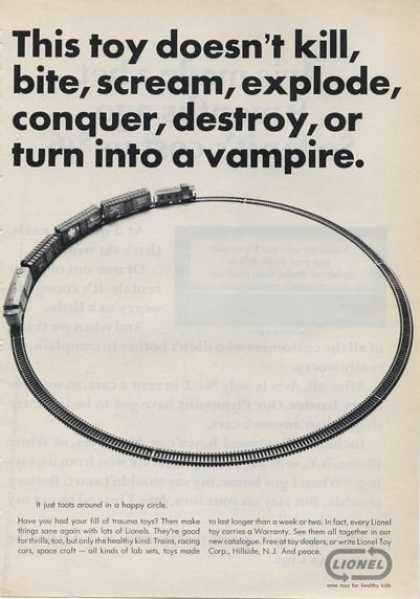 We all have ads that make our hearts sing. As copywriters, it’s our job to stay on top of the marketing and advertising world in terms of best practices and trends. That said, sometimes an example or two from brands you respect will speak droves in terms of providing direction, especially regarding more nebulous details like tone, which may be more difficult to articulate. 4. Share your own competitive insights. You know your brand better than anyone (at least, you should). If your customers hate the word “perfect,” then by all means let your copywriter know. If multiple CTAs have been proven to work better than one, pass that along. Optimizing content in the initial draft will save time in the long-run. The more guides and decks you have available, the better. The number one complaint I hear from copywriters and clients is that of miscommunication. I always ask clients for a quick email confirming details like pay rate, deadlines, and whether revisions are included in the cost, even if we’ve discussed it over the phone. It keeps things clear on both ends. If you’re looking to hire a copywriter for your brand or service, please contact me at leahkonen@gmail.com.